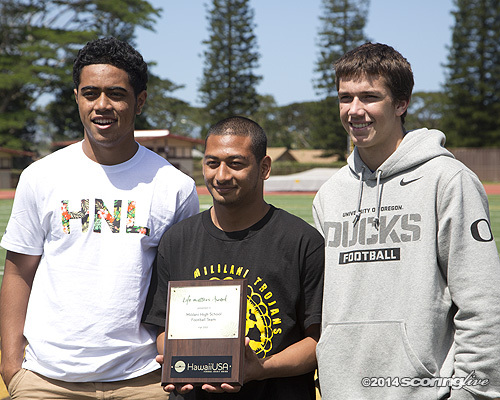 MILILANI — For all of the on-the-field accolades the Mililani football team achieved in the 2013 season, none mattered more to head coach Rod York than one special moment back in October. Just after the Trojans had defeated rival Leilehua in their homecoming game, York and his players invited a special-needs student, Mililani senior Jacob Fisk, onto the field to join in singing their alma mater. Two of the team's defensive leaders, defensive end KK Padello — who earned ScoringLive Defensive Player of the Year honors — and linebacker Dayton Furuta — a second team All-Hawaii selection — then presented Fisk with the game ball. 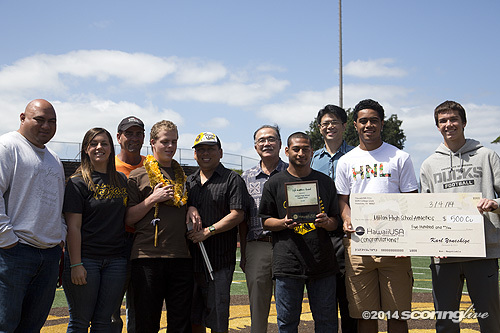 "I'm a huge fan of Mililani football," said Fisk, who is visually-impaired. 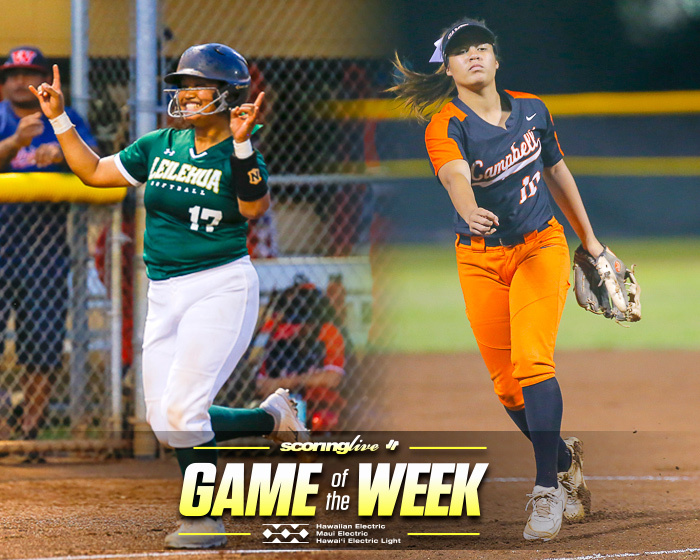 "Homecoming was awesome — we beat Leilehua — I'm so happy we beat Leilehua." 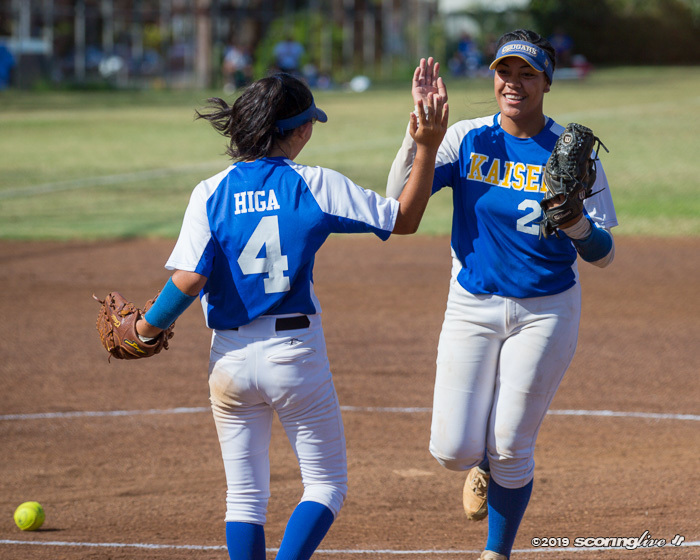 York, a math teacher at Mililani, mentioned Fisk in a speech to his team just moments before the game. 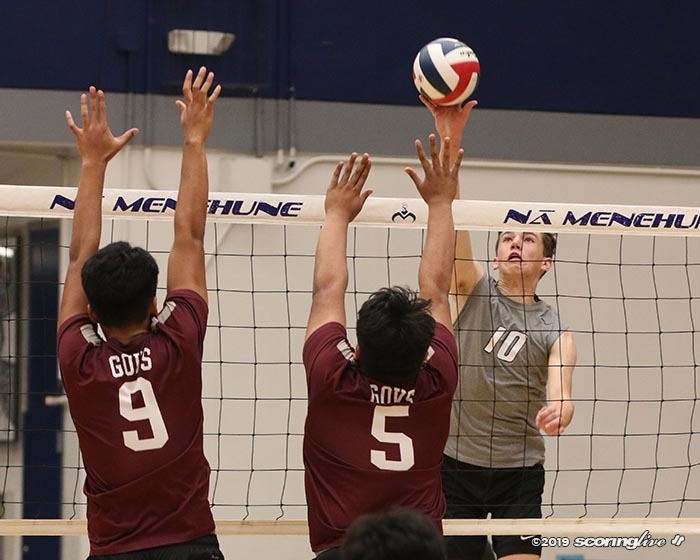 "I told the boys about him and that you've got to play for more than yourselves, for example, Jacob Fisk, who is the biggest fan of Mililani football that nobody knows about," York said. "He comes to every home game and he'll listen to every away game religiously on TV." York said the impetus to honor Fisk came from his players. "KK and Dayton asked to have him on the field after the game and they gave him the game ball," York said. Two offensive stars — quarterback McKenzie Milton and running back Vavae Malepeai — also chimed in on being able to recognize Fisk. "It just makes you realize that it's about more than football and to have Jacob supporting us every game is really something else," Milton said. "He's really the backbone of our team." "They say that the crowd has no influence on the game, but just knowing that you've got that kind of support behind you is incredible," Malepeai said. 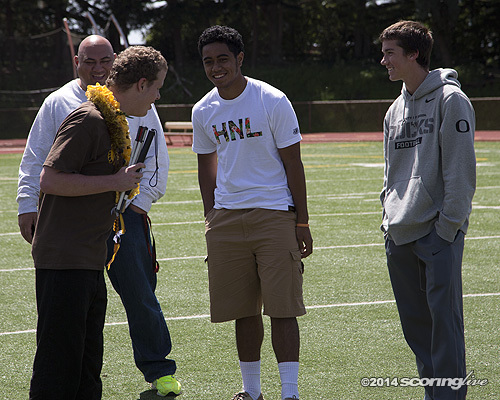 Tuesday afternoon, the entire group was recognized in a small ceremony at the 50-yard line of John Kauinana Stadium. 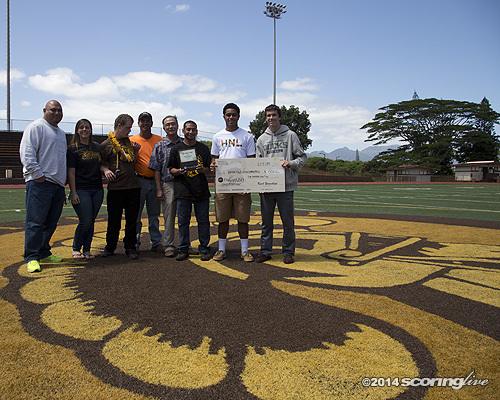 HawaiiUSA Federal Credit Union, in conjunction with ScoringLive, represented York with the Life matters Awards and a $500 check toward the school's athletics department. 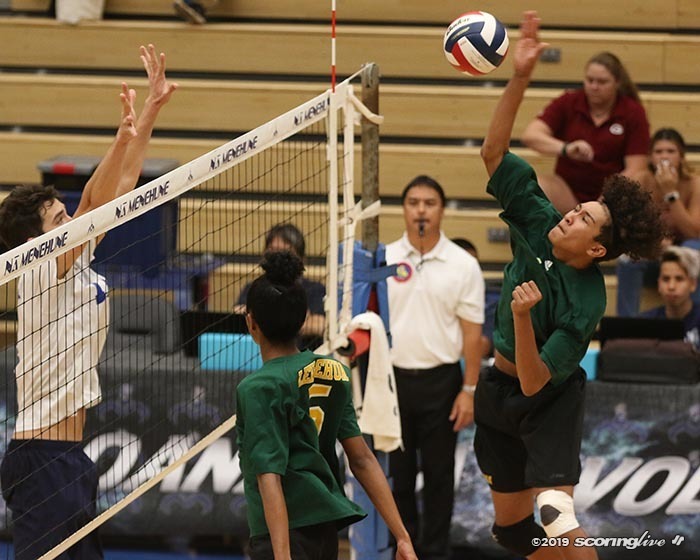 "We've always been involved with the schools since the original charters of the credit union were teachers, so the affiliation has always been there," Hawaii USA FCU President and CEO Karl Yoneshige said. "I think it's good for us to help out the schools and this is one way to help." 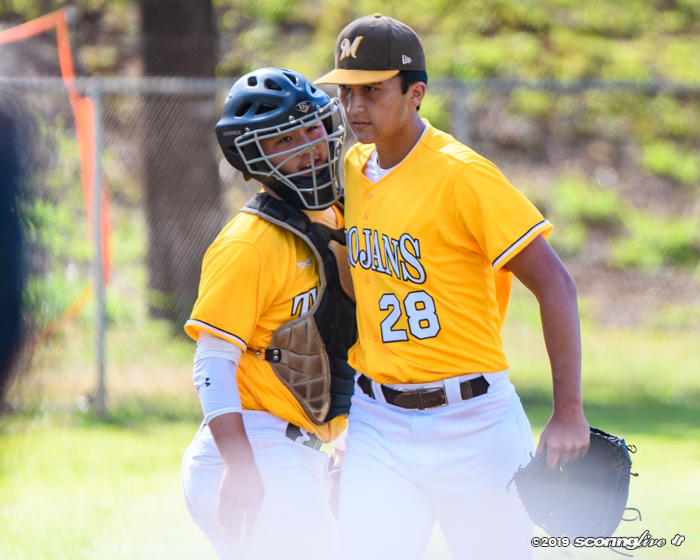 Yoneshige said that the story of Fisk and the Mililani football team is an embodiment of his company's "Life matters" slogan and goes beyond the gridiron. 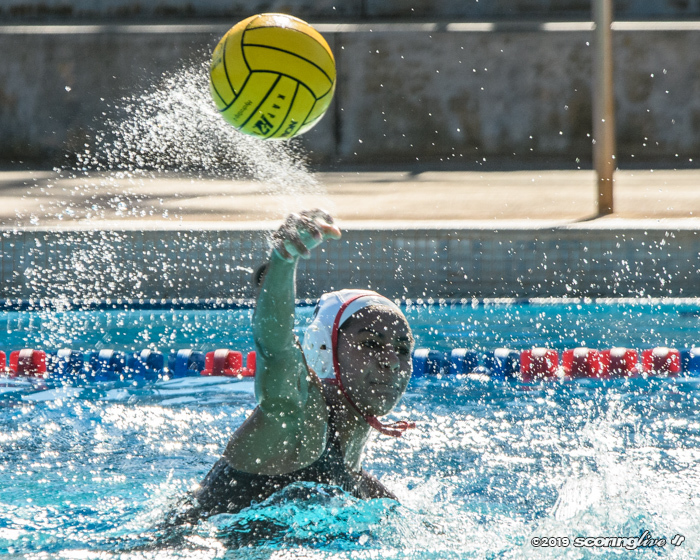 "We're not just honoring their sports' team, but the other things that they do in the community — it's not just about athletic achievement," Yoneshige said. "I wish I was here to see that happen, it sounds like it was a real touching moment for everybody and I think it shows being on the football team, you can be tough but compassionate." Also in attendance Tuesday were Jacob's sister, Sarah, mother, Tammy and father, Matt. As for what Jacob did with the game ball? "I still have that game ball," Fisk said. "It's on top of my TV." 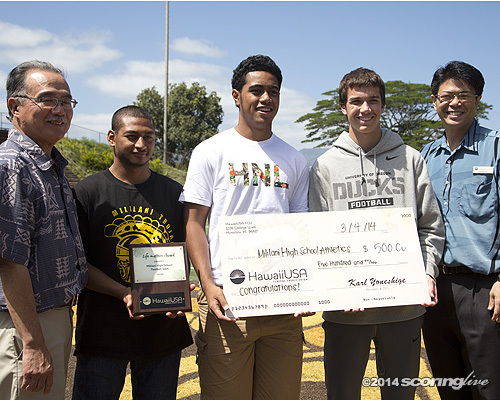 HawaiiUSA FCU and ScoringLive will present two more Life matters Awards and checks for $500 this school year. To nominate a team or individual, visit ScoringLive.com/Lifematters.